Recently, tuberculosis was discovered in populations of African black and white rhinoceroses in Kruger National Park (KNP), South Africa. In order to prevent the spread of this deadly disease, movement restrictions have been imposed on rhinoceros in KNP. The aim of this project is to develop new diagnostic tests to determine infection and allow uninfected animals to be moved outside of this endemic area. Currently, the largest populations of African rhinoceros exists in protected areas such as KNP. Despite protection, rhinoceros in these areas are still threatened by poaching and disease, such as TB (1,2,3,4). The discovery of TB in these species has lead to imposed movement restrictions from KNP, which hinders conservation efforts to save rhinos by spreading the population. Early discussions with decision-makers in South Africa led to an agreement to develop a plan so that rhinoceros can be tested for TB and those that pass the quarantine and testing program, can be moved. Unfortunately, large knowledge gaps exist how TB gets transmitted to and from rhinos, progression from infection to disease, ecological impact, etc (5). To fill these gaps, reliable diagnostic tools are needed. TB results from chronic infection and can lead to fatal disease in people and animals. Animals can carry the bacteria for months and even years before becoming sick. TB can be transmitted between different species of animals (domestic and wildlife) and even between people and animals. 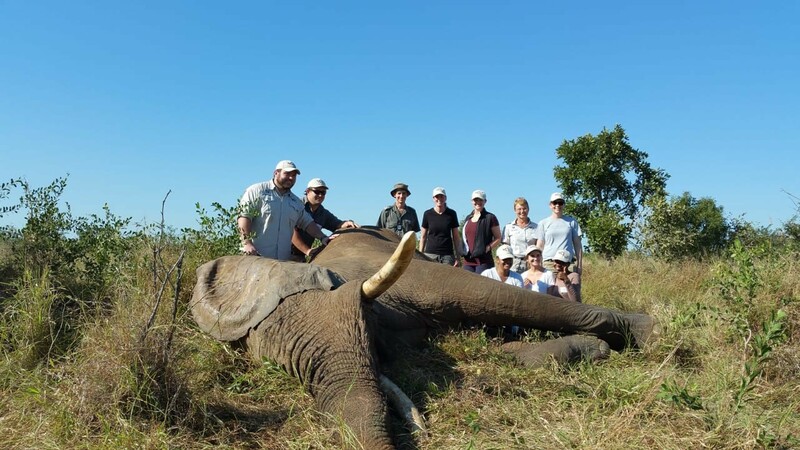 Understanding the disease is the first step in preventing further spread to other animals, especially threatened and endangered species such as rhinoceros, lions, wild dogs and African elephants. The loss of apex predators to TB will have detrimental effects on the ecosystem in KNP. This highlights the impact this disease may have in disrupting conservation plans and efforts to maintain biodiversity. New approaches to detect the spread of the disease are urgently needed. We will determine the efficacy of blood and sputum diagnostic tools for the diagnosis of TB infection from banked (n = 50) and newly obtained (n = ~50) rhinoceros samples. This will be achieved by modifying an existing animal blood TB test and using a human TB DNA test. The blood test enable us to measure the animal's immune response, indicating if it has encountered TB before or not. To measure this memory, we will challenge the animal's blood with TB-specific antigens and measure the amount of native rhinoceros immunological messenger molecules secreted by its immune cells. This requires that we purchase specific reagents to capture these molecules for measurement. For the human TB DNA test, we need to purchase the available cartridges able to directly detect TB in respiratory samples. These costs will enable us to collect the necessary blood and respiratory samples for downstream TB testing. These will also include the cost of correctly shipping the samples to Cape Town from remote areas in South Africa to keep the integrity of the samples intact. In Cape Town, all samples can then be processed accordingly and cultured for Mycobacterial growth. Due to the scarcity of species specific diagnostic reagents for wildlife such as rhinoceros, some human and animal TB diagnostic tests need to be appropriately adjusted and validated for their use in rhinoceros. The requested amount will contribute towards these largeoptimization costs and will enable our group to design, optimize and validate tests to correctly diagnose TB infected rhinoceros. To save our precious African rhinoceros it is of paramount importance that we develop TB diagnostic tools for this species. 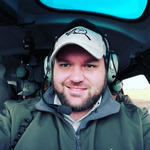 Identification of uninfected animals will allow us to move Rhinos from the Kruger National Park to more secure locations in South Africa to limit poaching of these animals. I have known Wynand since he was a keen honours student in the department. 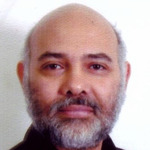 I have seen him become the competent, passionate scientist he is today. I am very excited that he has taken this initiative, and I have no doubt that he will complete this project successfully!! The largest populations of free-living African rhinoceroses occur in South Africa in reserves in which Mycobacterium bovis, the cause of bovine TB, infects numerous species. Quarantines placed on these reserves have severely affected the movement of rhinos - and this limits conservation strategies. Wynand and Michele are highly experienced in the design of novel immunodiagnostic tests for African wildlife and work in collaboration with a highly skilled team of TB scientists. I strongly support their project. 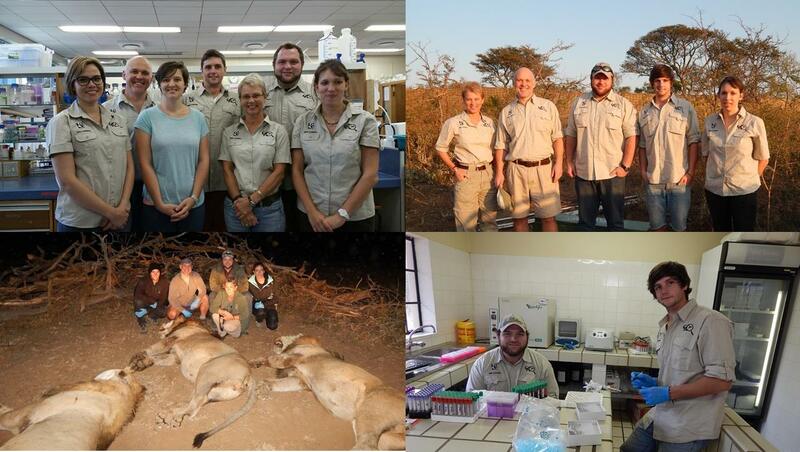 Wynand and Michele are highly qualified, hardworking and very engaged in TB in wildlife. 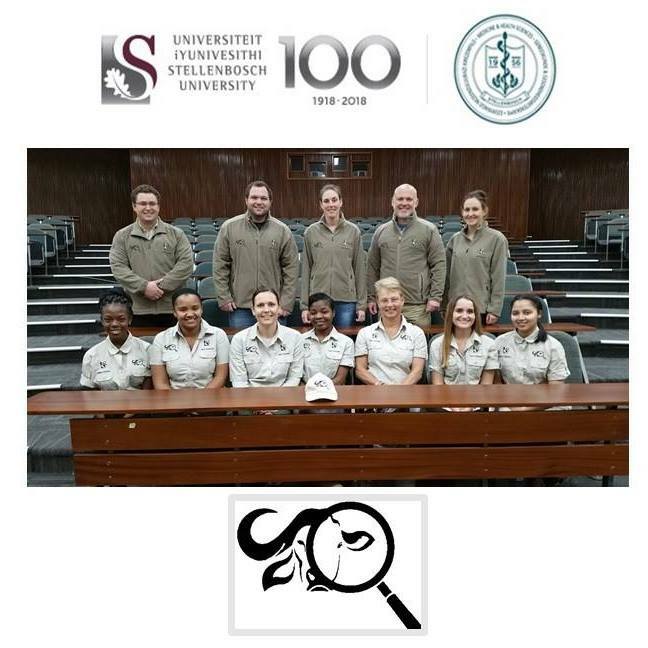 I am convinced they will do brilliant work to get a better understanding of TB in African rhinoceros and get the non-infected animals into a safer place. The project can officially kick-off beginning September 2018, however the timeline surrounding this project is absolutely dependent on the funds raised. Because this project is a very time sensitive project, we hope to get our diagnostic tools in the hands of wildlife veterinarians and approved laboratories before the end of 2020. Collect blood and respiratory samples from immobilized black and white rhinoceros. Mycobacterial culture all respiratory samples collected from the immobilized rhinoceros. Use expensive currently available human respiratory TB detection methods (GeneXpert MTB/RIF ULTRA) to determine animal TB status together with culture. Optimize the measurement of our identified blood immune markers using a combination of human and animal protein measurement kits. Evaluate the diagnostic performance of the identified blood immune markers between known infected (culture positive) and uninfected (culture negative) rhinoceros. 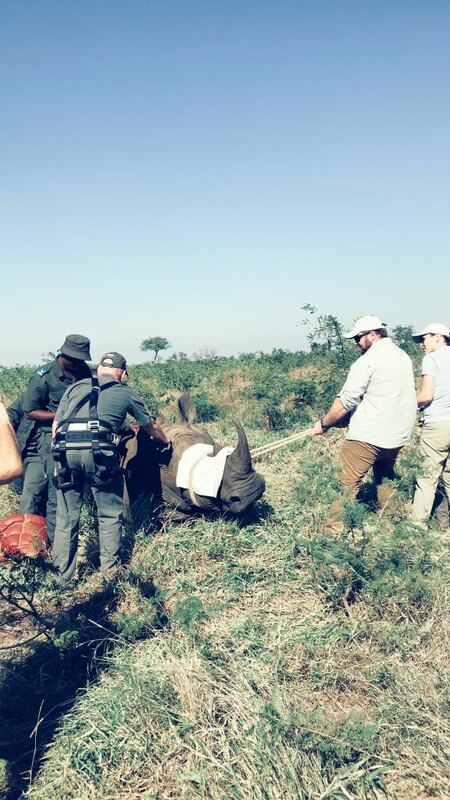 Assess the TB prevalence in African rhinoceros using the new technique and assist the South African government in testing our rhinoceros for TB before movement. Animal TB Research Group at SUN is the only research group in South Africa that has as its SOLE focus, a multifaceted approach to investigating the immunology, epidemiology, pathogenesis and application of research findings to management of tuberculosis in animals (both domestic and wildlife) and at human-animal interfaces. 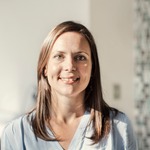 The team exists of our PI: Prof Michele Miller (NRF SA Research Chair), four staff members, 9 postgraduate students and 18 national and international collaborators. 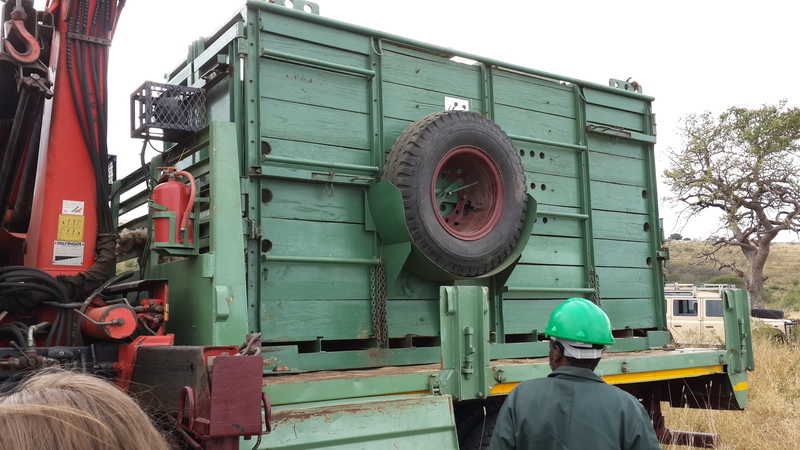 Crate used by the game capture team to move rhinoceros away from dangerous areas with poachers. The Animal TB Group in the lab, in the field and in our impromptu lab set up in a field clinic. 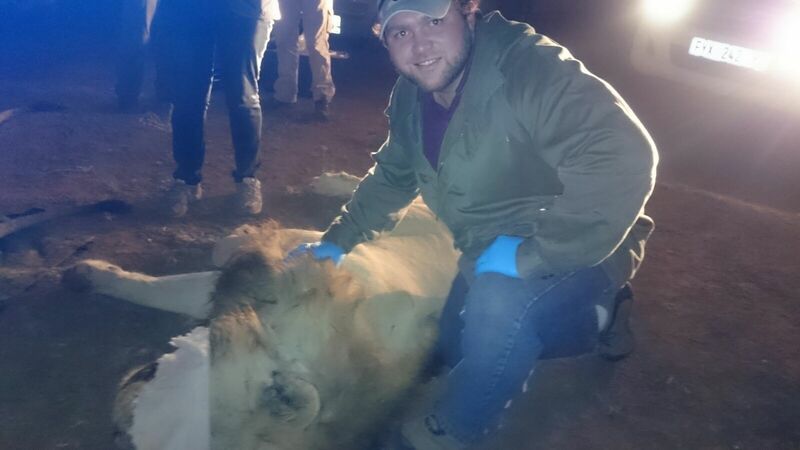 An immobilized African lion sleeping while we draw blood for TB testing. Keeping the rhino stable while Dr Peter Buss wake him up after we drew blood from his soft ears.